Die Hard 5: A Good Day To Die Hard is the working title for the upcoming sequel. Hollywood sequels are always subject to title changes so this is just what it is for now. 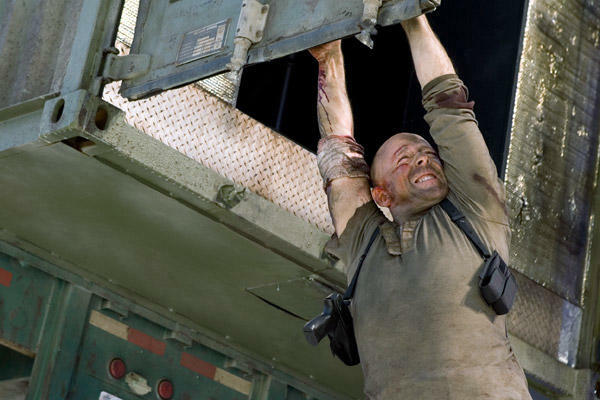 Die Hard 5 will, of course star Bruce Willis as John McClane. The movie begins shooting next year and is slated for release on February 14th, 2013. Happy Valentine’s Day! Russia serves as the setting for DH5 with John trying to bail his son out of jail only to find that he is mixed up somehow in a terrorist plot. Of course it depends heavily on who is cast as John’s son, but based on the title the torch might be passed on to him, if McClane dies in this movie. I wasn’t too happy with the idea of Shia LeBeouf taking over for his father Indy, but maybe Lucas and Spielberg know a little bit more about movie making and casting than I do. Whatever the case may be, I am a huge fan of the Die Hard franchise and look forward to whatever may be. What do you think. You are currently browsing the archives for the Die Hard Sequels category.